The LankoFirst range of fibre rope connectors for deepwater mooring systems revolutionise the ease with which deepwater fibre mooring lines are connected and deployed offshore. LankoFirst gives naval architects and installation contractors a dedicated deepwater fibre mooring connector that is smaller, lighter, easier and quicker to make-up than traditional rope connectors. 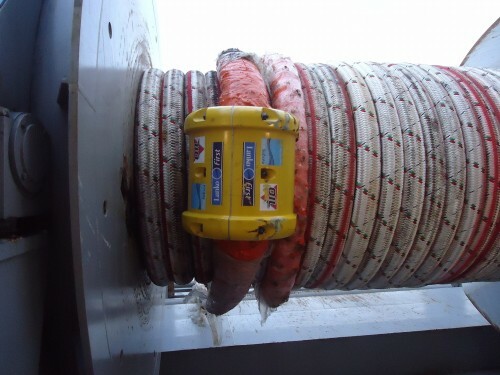 Moreover, as offshore projects move to deeper waters the number of fibre rope connectors needed will increase, and therefore so will installation time. However, LankoFirst benefits from Lean Installation principles resulting in a substantial impact on reducing mooring line installation times. Traditional fibre rope mooring connectors are often cumbersome to handle and time-consuming to complete during deepwater mooring operations offshore. LankoFirst is developed specifically for deepwater fibre connections. The connectors are smaller, lighter, stronger and more efficient than current plate links and thimbles. Moreover, they are easier to make-up and the rope splice is slimmer, and therefore lighter, for the same MBL. Importantly the LankoFirst fibre connector has been designed to be safer and easier to assemble offshore, whether vertically or horizontal. LankoFirst sub-connectors are integrated with the spliced rope during rope manufacture, ensuring the quality of the splice and saving time when assembling the connectors on the vessel. 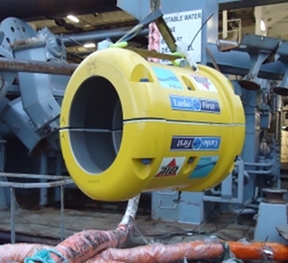 Manufactured from the same materials, and to the same high quality standard, as First Subsea’s subsea mooring connectors, the LankoFirst is designed to easily run and retrieve across the mooring vessel’s stern rollers and on anchor handling ships. For maximum installation flexibility, the LankoFirst connector is available as three types of connection: Clam, Snap and Link. The Clam connector is where the sub-connector is spliced with the rope during manufacture and enclosed within clam shell case during deployment for fibre rope to fibre rope (R2R) and fibre rope to chain (R2C) connections. The Snap connector is for fibre rope to fibre rope (R2R) connections where the spliced rope is integrated with the connector during rope manufacture and simply snapped together offshore. The Link connector is for fibre rope to fibre rope (R2R) where spliced ropes integrated with connectors (female clevis head and male padeye) during rope manufacture and a pin connection made offshore.